A steady job is the most important parameter to keep up with the mortgage loan. If your boss has fired you or you have left the job due to the frustrating work environment, and you don’t have any other source of income to pay the mortgage then, we have some tips that can help sail your ship smoothly. 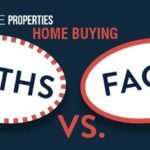 Stay calm and read the mortgage payment tips to understand what practical options are available for paying the mortgage loan when you’ve lost your job. First things first, try avoiding the stress as much as you can. Keep a positive attitude that everything is going to be fine. Without a stable mental state, you won’t be able to cope with the situation. Once you settle down, calculate the total money you have. By ‘total money’ we mean your savings and emergency funds. Once you know the total amount, outline your basic monthly budget and utilize the rest of the money for the mortgage payment. In the meanwhile, start searching for a new job. You will surely get one. If this option is not feasible, you can try for the next one. There are many household items such as furniture or kitchen accessories and even clothes which we don’t use on a daily basis. You can collect such items and sell them right away. 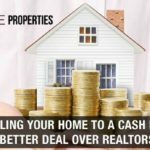 A garage sale might seem an insignificant thing to do in such a stressful situation but, it could help you arrange mortgage payment. If you are worried about the buyers then, you can try placing free ads over various portals and hold an online auction. Otherwise, you can opt for a traditional way of selling. To be honest, there are thousands of people in NY who are looking for a suitable place to live. 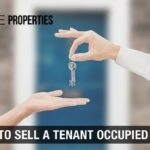 So, if you have an ‘extra’ room in your home then, you can try renting it out. Let’s say your family is small and you have got enough space to accommodate more people. In such cases, you can permit people to stay in your guest room or the room which is spare. It will not only arrange mortgage payment but also, give you the satisfaction of helping a needy person. Most people make the mistake of hiding from their lenders when they know they are short of money. Therefore, we want to specially tell you that it’s not a wise thing to do. Maintaining transparency is the key to convincing the lender. Please, make sure you talk to your lender at the earliest. Understanding your situation, your lender might offer you another plan for a temporary basis. For instance, your lender can ask you to go for the forbearance unemployment agreement. It allows you to repay the pending payments after a certain time interval. For the time being, you can pay less money. This will save you from losing your house. Once you get a job, you can fill the gap by repaying the mortgage amount. ‘Foreclosure’ means your property can be taken legally by your lender if you fail to pay three consecutive mortgage payments. If the foreclosure occurs, you won’t have any choice but to lose your home forever. Thus, foreclosure is extremely risky. You should do whatever it takes to avoid foreclosure. If you’ve tried other authentic ways and still you aren’t able to find a staunch solution, selling your home in NY is the last resort. Selling your property before foreclosure or a short sale will at least ensure you get some money back. This money can be helpful during the crisis until you have a decent job in hand. Selling your house in NYC as soon as possible could be a hard nut to crack. The easiest way to approach the situation is finding a ‘we buy houses for cash’ company in NY. 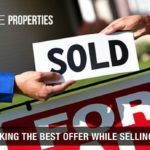 Such real estate companies help you throughout the transition right from listing your house for sale to speaking to potential buyers to the important paperwork. You don’t need to go deep in the legalities once you hire an experienced real estate agent. Just make sure to get in touch with a trustworthy and reliable real estate firm in NY. While we are advising you to take assistance from a real estate company in NYC, you must take care of a few things. To be honest, there are many fraudsters who will promise to sell your house fast but, when the time comes they won’t fulfill their commitments. Such companies ask you to pay in advance and then, don’t answer your calls/emails. Beware of sugar talkers and research thoroughly about the company’s past projects and clients on the internet. You can also take guidance from your relatives and friends who have relevant knowledge or experience associated with the real estate sector. 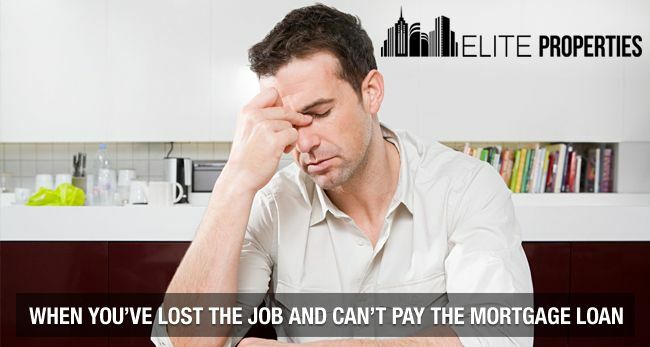 Try to get a new job and meanwhile follow these tips to deal with the mortgage payment failure issue. Remember that every dark cloud has a silver lining. 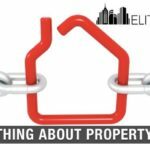 If you need assistance, you can contact ‘Elite Properties’, one of the highly reputed real estate firms in New York. The real estate agents at Elite Properties are known for being transparent and faithful to the customers. Most importantly, don’t lose hope and stay positive. It can work wonders for you.